’90 Day Fiance’: Did Karine’s Naughty Pic With Man Prompt Paul’s DNA Request? 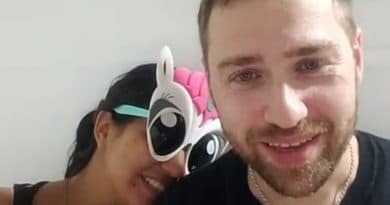 90 Day Fiance: Before the 90 Days star Paul Staehle outraged fans when he asked his wife Karine Martins to take a paternity DNA test to make sure the baby is his. This came off the heels of the couples baby announcement on the 90 Day Fiance Tell-All episode. But Paul is giving out a little more information, and there may be more to his side of the story. 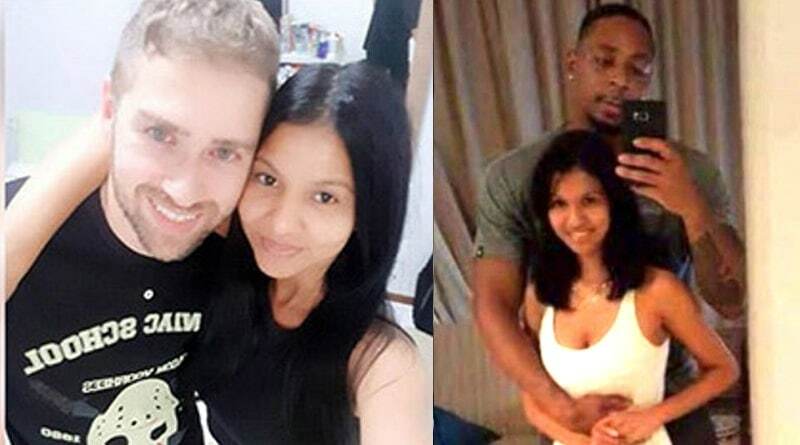 His DNA request put the Karine’s pregnancy news on the back burner as fans of 90 Day Fiance dropped their jaws throughout the nation’s living rooms. An uproar emerged across the social media sites over the way Paul Staehle treated Karine Martins on national television The young mom-to-be was mortified and started crying. Even the host of the show, Shaun Robison was at a loss for words for a minute after Paul mentioned the DNA test. On the 90 Day Fiance: Before the 90 Days Tell-All show, Paul explained that he found Karine messaging other men and that concerned him. Karine didn’t deny this but she added that any other man she messaged lives far away. She offered up the defense that she couldn’t be cheating because their location is so far from her home. Karine made this response to Paul on the “Tell All” episode from TLC on Sunday night. 90 Day Fiance – Karine Martins Emerges in Compromising Picture? With that said, a picture emerged online today with a question attached to it. While this could have been taken before Paul Staehle married Karine Martins, the picture shows a different side of Karine. The picture is actually a collage of three photos of Karine as she poses with a man who is not Paul. 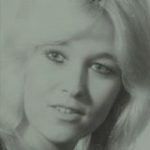 These images also suggest that Paul might not be the first long-distance love interest that Karine ended up meeting in person. Before the 90 Days – Does Paul Staehle Have Reason For DNA Test? There’s no date or location given with this picture, which is posted by John Yates. Yates asks “Is this why Paul wanted a DNA test? And… the 90 Day Fiance fans offered up suggestions. These three pictures screenshots from a tape, according to Yates. Fans of 90 Days Fiance are already weighing in on this. While Karine said the men she flirts with online are far away, is she forgetting Paul was once one of those men? As viewers know, Paul did travel from another continent to visit Karine. Paul was far away at one time as well. But he hopped a plane and traveled thousands of miles to come and meet Karine in person. She flirted enough with Paul to send him on his long journey. Fans asked why she is still messaging men now that she is a married woman? Seemed like after they got married she gained some weight, idk. It may still have been while w/ Paul and I could see why he would want one. She even admitted to flirting w/ other dudes so what if they’re far away why do it, you’re married bimbo ? While some fans agree with Paul, others don’t agree with the way he handled himself on the “Tell All” episode from 90 Day Fiance Sunday night. Paul may or may not have a foundation for his suspicions. But Paul claims he has his reasons. If Karine was swapping messages with other men before meeting Paul, then it’s in the past. But fans across the social media sites believe she has no business doing that today as a married woman. Before the 90 Days – When Did Paul Have Time to Conceive Child with Karine? The timeline of Karine’s pregnancy is also a question that emerged online. Paul appeared to leave for the US right after Karine got out of the hospital due to her miscarriage. Paul is still in the US talking about Karine Martins being pregnant when he asks for that DNA test. So when did she get pregnant with the new baby? That didn’t leave much time between her losing their first baby and the time Paul left to come back to the US to get work. So this could also factor into Paul’s suspicions. While most of the fans didn’t see Paul’s treatment of Karine as a laughing matter, they do think this marriage needs a lot of work. Some fans say the writing is on the wall and they won’t last. Still, the latest Instagram posts by Paul show him back together with Karine in Brazil and the two looking happy. The 90 Day Fiance: Before the 90 Days Tell-All show was the final episode of the season. But there’s a good chance Paul and Karine will appear on the show next season. Check back with Soap Dirt often for the latest news on 90 Day Fiance: Before the 90 Days. ’90 Day Fiance’: Paul Staehle’s Bullet Proof Vest – What’s Up with This?